My goal by this time in my blogging life would have been to share at least one fried (yeast)doughnut with all of you. I haven’t gotten there yet. It’s hard to believe that 3 years ago in November I shared a baked cake style donut. What happened since then? How could I not share any others? I can honestly say they were extremely loved by everyone here at our “baking headquarters”…actually, they were devoured in minutes and I did even leave a few to share with a dear neighbor. This recipe yielded 8 donuts for me. I did fill the pan almost to the top. Back to these cake style donuts. Can I tell you how much I love my Wilton donut making pan…just love it! I don’t use it enough. 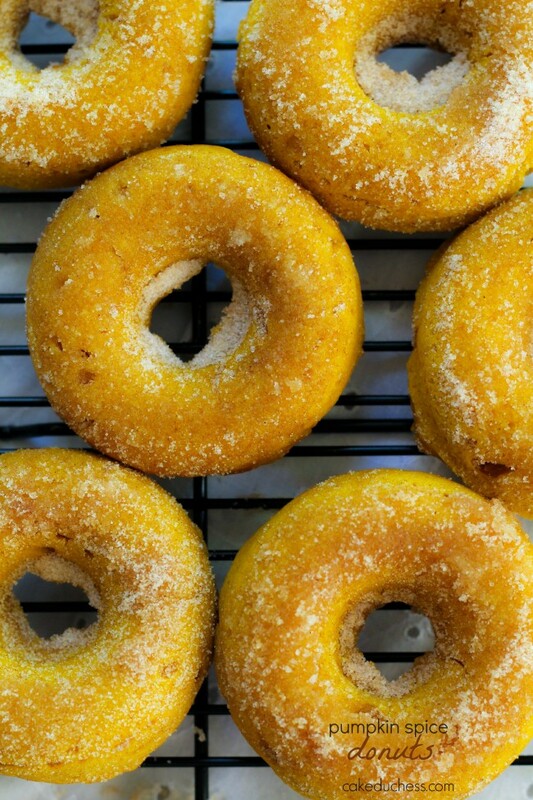 It’s so easy to put together a cake style donut recipe. The possibilities of what you could create are truly endless. My kids are loving pumpkin every thing these days, so pumpkin it was! 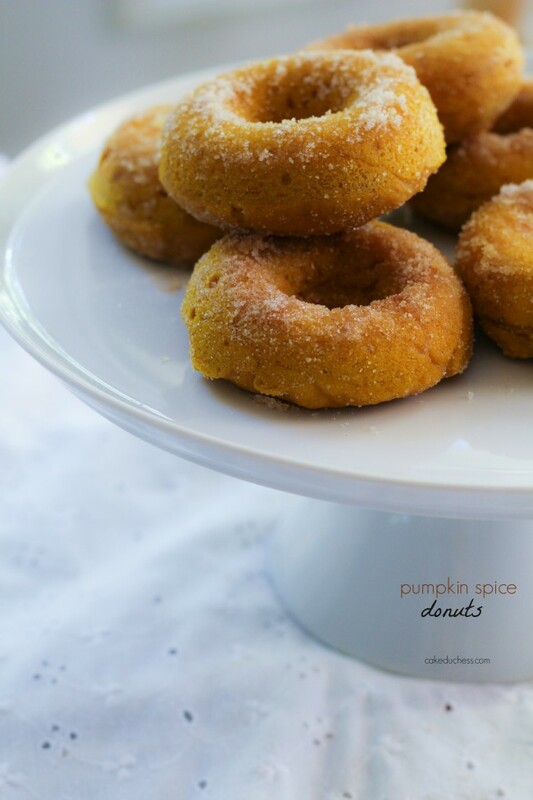 If you ever get a mad craving for pumpkin donuts in the fall, you have to try making your own! These donuts are so easy to put together. They are filled with all of fall’s warm spices and a gorgeous cake like texture. 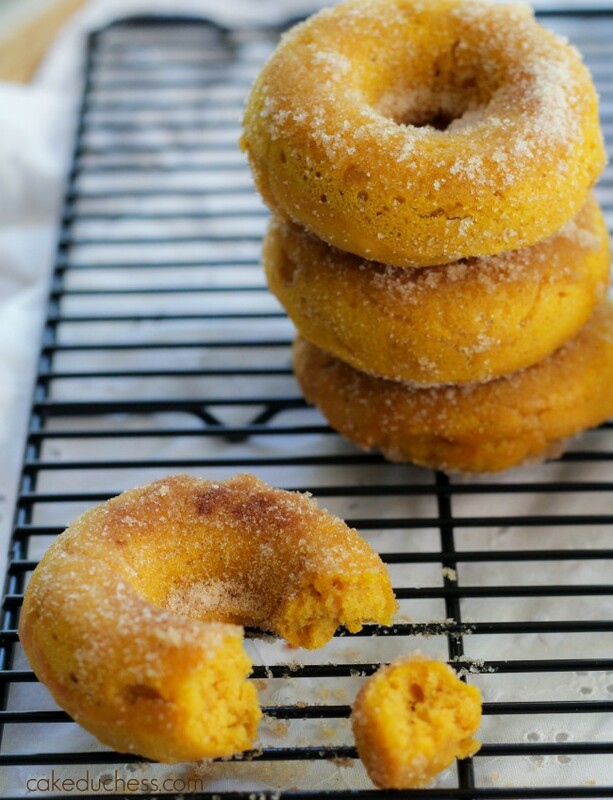 The cinnamon-sugar coating is that extra special touch that helps make these donuts one of our favorite fall recipes! If you don’t have a piping bag, you could use a large zip-loc type bag and snip a bottom corner off after you fill it with the batter. It really helps to fill the donut tray with the batter to use a bag. Preheat oven 350 F. Spray a donut pan with baking spray and set aside. In a large mixing bowl, stir together the flour, baking powder, salt and spices; set aside. oil, brown sugar, egg, vanilla, pumpkin and milk until combined.